They are super easy to maintain and they are tough as nails! 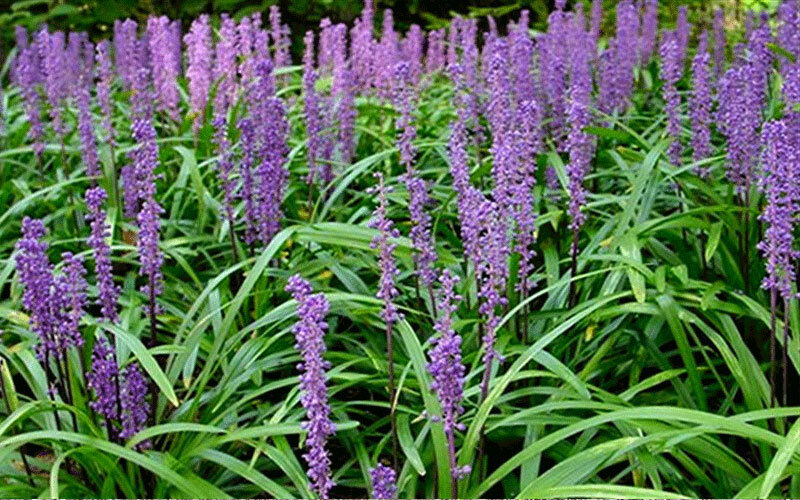 They like any kind of soil, tolerate wet conditions or drought conditions and they are even somewhat salt tolerant. When used as a border you can plant them as close as 12" and as far apart as 24". You can used them at 24" apart and be very happy with the result. Plant in spring, summer, or fall, spacing plants 2 feet apart or closer if you want a hedge line. Dig a hole only as deep as the root ball and 2 to 3 times as wide. If your soil is in very poor condition, amend the soil you've removed from the hole with a small amount of compost. 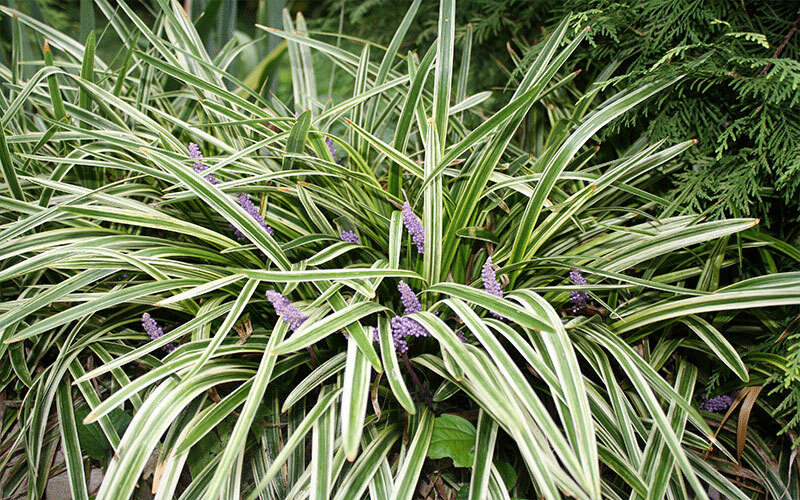 Foliage ( blade ) Color: is medium green base color with bright creamy yellow striping, or variegation. The more sun this variety is exposed to, the brighter the overall appearance will be but be careful, as too much sun, or very intense heat exposure can cause slight burning / browning of the blade tips. 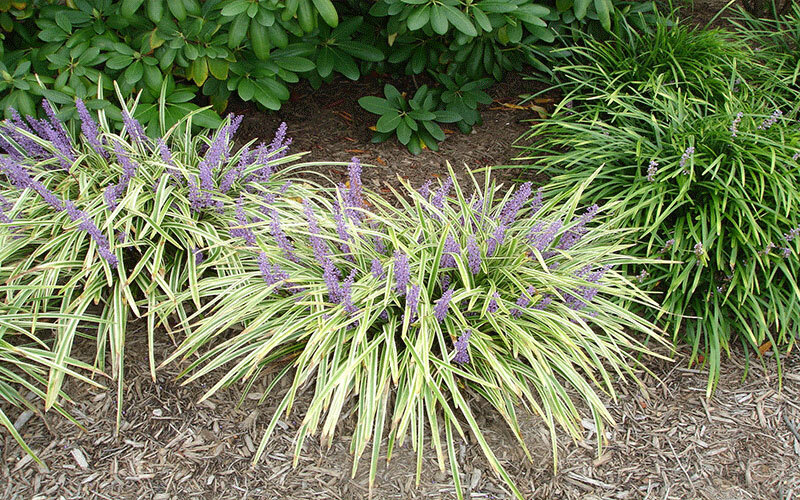 Foliage is extremely dense when mature and forms a nice, tight evergreen grass-like clump. 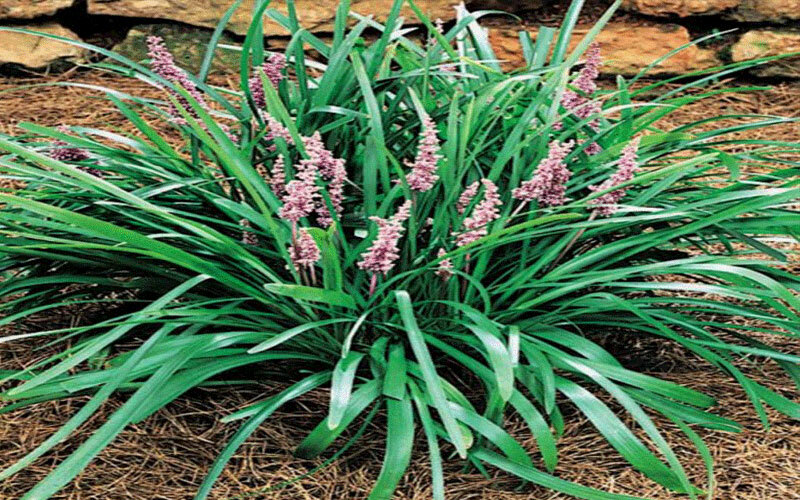 Uses for this variety are almost endless but among the most common are: planted on slopes for groundcover / erosion control, around the base of larger trees & shrubs as groundcover, edging along landscape beds, along walkways, and I have even seen this grass used as a low growing accent in large container gardens.